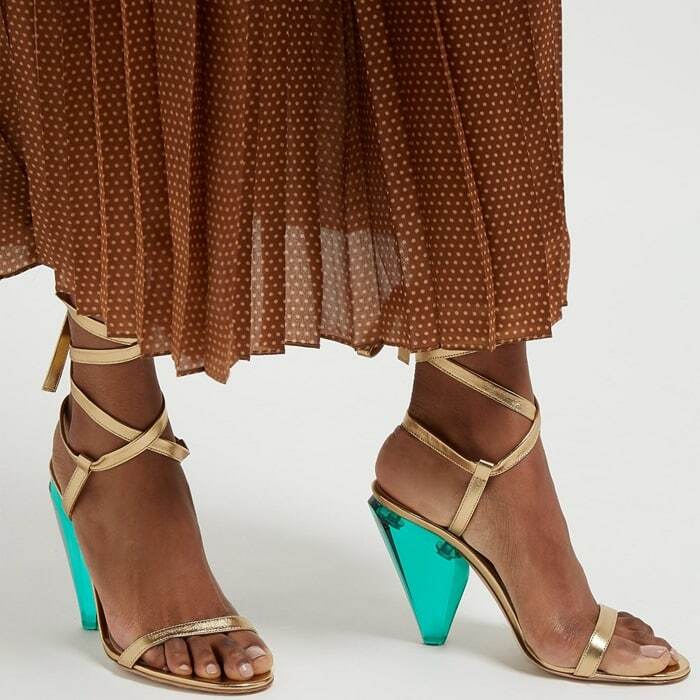 Gianvito Rossi has referred to his father Sergio’s workshop as his childhood playground, and these gold Palace 105 sandals are a statement of the Italian footwear designer’s inherited skill for footwear design. 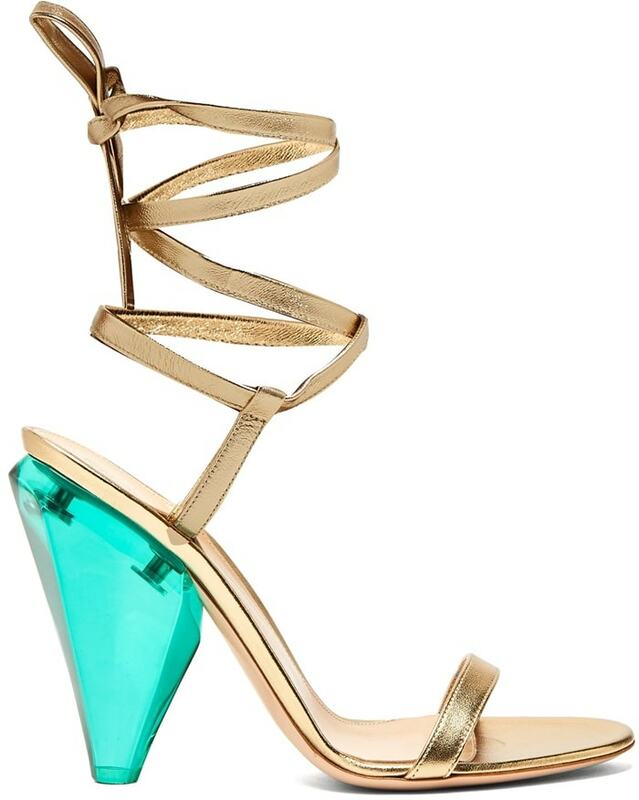 These glamorous shoes are crafted in Italy from laminated leather and are set on a cone heel reminiscent of a precious emerald – a stylish alternative to classic stiletto heels. Fasten the ties at the ankles below a pleated midi dress for a glamorous party edit with a nostalgic edge.